Eight communist organizations struggling in France issued a common declaration. The declaration reiterates communists' solidarity with the people of Venezuela and their legitimate president Nicolas Maduro, of whom they demand the recognition by the French Government. Another issue treated in the declaration is the campaign ongoing within the General Confederation of Labour (CGT) against historian Annie Lacroix-Riz. According to the declaration, the campaign is aimed at "demonizing all who think that the EU is a supranational imperialist power in construction and that it is convenient to quit it, to fight it, but not to feed the hope for transforming it into 'Europe sociale'." 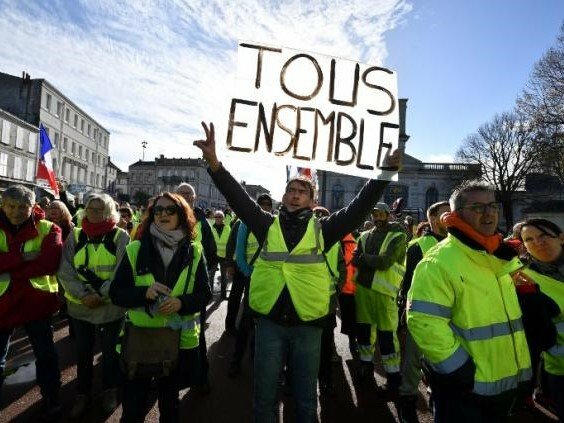 The declaration describes the "Yellow Vest" movement as the expression of "the anger of a good number of workers and elements from middle strata who are sliding towards precarity, questioning the sociologic and political fundaments of the Macronist project." Undersigned organizations call upon all communists to react without hesitation with and within Yellow Vests, to have a fraternal dialogue with this movement, which is "a historical dialogue for our people's capacity to resist, unite and go on with the conquest of their rights, towards the construction of another society, socialism as the first stage of communism." It is declared that the Yellow Vest movement is an "accelerated apprenticeship of class struggles" for hundreds of thousands of people in France, but also for communists who seek to rebuild a revolutionary communist party. A dialogue between communists and Yellow Vests will be, according to the declaration, "a historical dialogue for the future of the social movement as well as for communist reconstruction." Click here for the common declaration.